Experience has made Woody’s one of the finest event designers and wedding consultants for over forty years. Using homemade recipes passed down through three generations and only the freshest ingredients, Woody’s can provide a unique culinary experience. Our family also provides superior service knowing that this day cannot be duplicated and will become one of the greatest events of a couple’s life. Possibilities exist for any size budget. We can personalize menus, provide recommendations and ideas, or hand-craft your own unique event. Information can be obtained easily by visiting our website or by calling us directly at 412-754-0551 for a no-obligation free consultation. Try a sampling at our restaurant to experience some of the authentic recipes that have been making Woody’s famous for over fifty years. Make Your Fondest Memories…Our Concern! 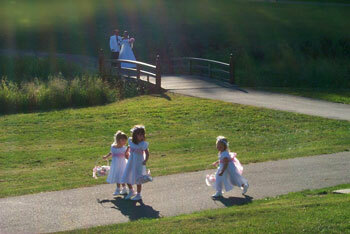 We can assist you with many of the extras that you will need for your perfect wedding day. Our event planning specialists can help provide you with the venue, decorations, themes and just about anything you request. If you need help with your ideas, give us a call and we can provide the assistance you desire to help take the pressure off of doing all of the planning yourself. You have enough to do, let us help with the rest!